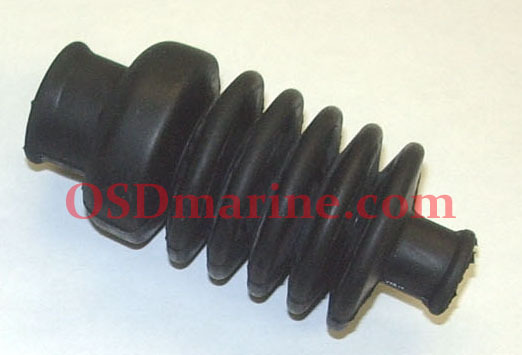 Hot Products : SEA DOO Yamaha Kawasaki Polaris Parts - OSD Marine, Your ONE SOURCE for DISCOUNT Parts! Hot Products Tau Ceti Pro Series II Flame Arrestors are constructed from top quality materials such as aircraft grade aluminum, stainless steel, and a superior quality rubber base. This Flame Arrestor is designed with both duration and superior performance in mind. Using an extremely light anodized aluminum top in Silver, Black, Blue, Green and Red and a stainless steel mesh, this product is 100% corrosion resistant. 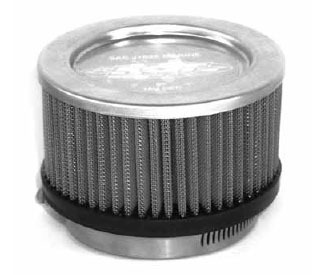 With a free flowing stainless steel mesh, these achieve an increase in acceleration and a much better throttle response. The universal rubber mount will fit any personal watercraft with a stock carburetor using the appropriate adapter (offered on every FA info page). 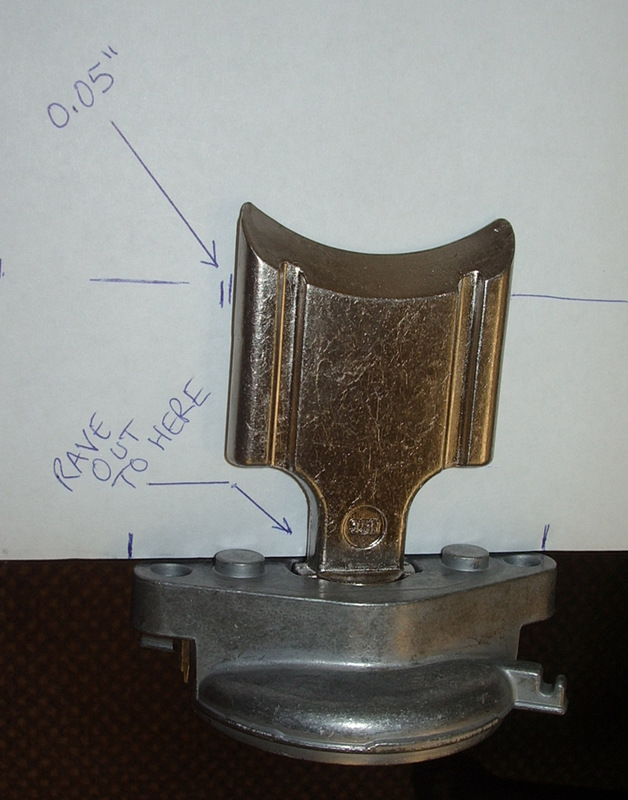 No re-jetting is necessary on stock boats. The all new Hot Products Tornado Series Flame Arrestors by Tau Ceti are the newest performance filter available for the pwc performance industry. They feature a velocity cone with proprietary designed air channels to increase the air flow into the induction system. These filters are made using the same top quality materials as the Tau Ceti Pro Series Filters. 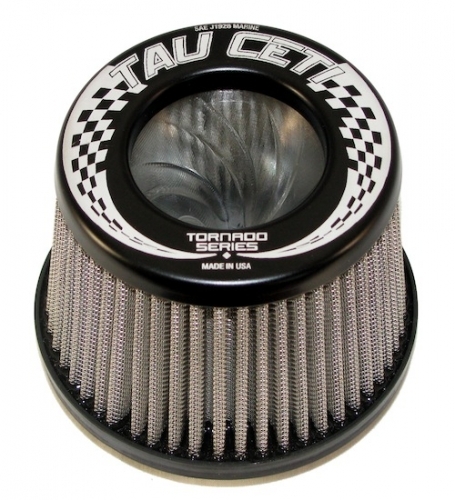 The new filter is a cone design and is .500inch taller than the current 2inch Tau Ceti Pro Series Filter allowing for use many engine applications. 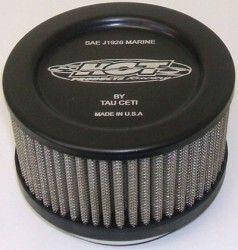 The velocity cone is clear/smoke color and the filter top features an aluminum filter top ring. The universal rubber mount will fit any personal watercraft with a stock carburetor using the appropriate adapter (offered on every FA info page). No re-jetting is necessary on stock boats. The filter tops are currently available in silver and black. 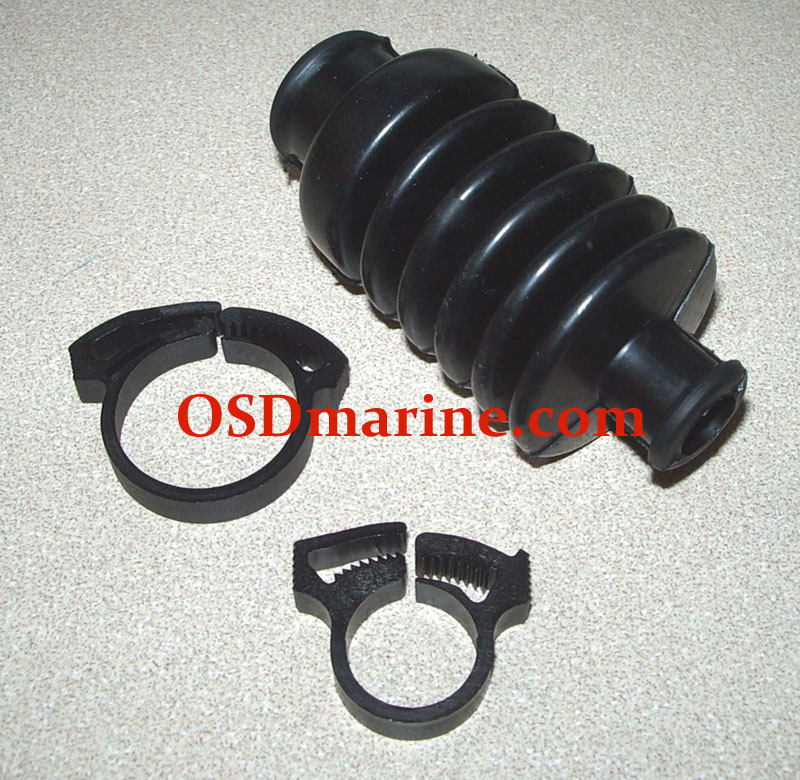 Each filter includes a filter clamp for installation. Carb adapter sold separately.